Hip-hop is now a global multi-billion pound industry. It has spawned superstars all across the world. There have been tie-in clothing lines, TV stations, film companies, cosmetics lines. It even has its own sports, its own art style, its own dialect. It is an all-encompassing lifestyle. But where did hip-hop culture begin? Who created it? How did hip-hop become such a phenomenon? 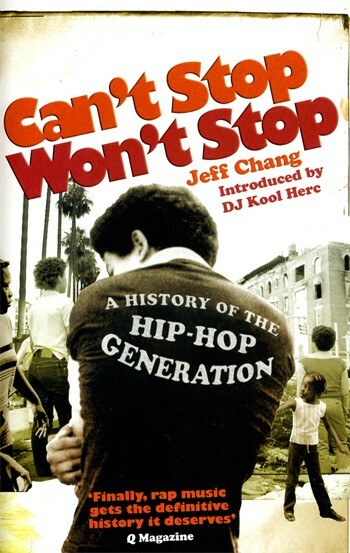 Jeff Chang, an American journalist, has written the most comprehensive book on hip-hop to date. He introduces the major players who came up with the ideas that form the basic elements of the culture. He describes how it all began with social upheavals in Jamaica, the Bronx, the Black Belt of Long Island and South Central LA. He not only provides a history of the music, but a fascinating insight into the social background of young black America. Stretching from the early 70s through to the present day, this is the definitive history of hip-hop. It will be essential reading for all DJs, B-Boys, MCs and anyone with an interest in American history.